Something a little different this week. Sorry the video is a little ragged this week. We were in our booth at the Puyallup Fairgrounds and crowds were already starting to come down the aisle and watching some goofy guy (me!) talking out loud to his laptop! So I didn’t have much time! Also, no real fishing to report so I answered some letters in the video about fishing in La Paz! Honestly not much to say about fishing this week. I guess I could make something up, but that’s now how we roll. This is winter and off-season and not many folks out fishing from November to April. Mostly, it’s because of the winds and waves that can be very erratic. So, that’s what happened this week. We did have a few folks set to fish early in the week, but it was pretty rough. So, as much as they wanted to go, I advised they just cancel. Stay at the hotel. Hang out at the pool. Go to town of lunch. Sleep in. Take a siesta. Fishing is supposed to be fun, right? Not an excercise in staying dry and trying to stay in the boat. Many of the folks we have this time of year aren’t hard-core anglers. For some it’s their first time really fishing in the ocean so I don’t want them to have a bad time. As much as we love the business, especially this time of year, it was better to just advise folks not to come out. Not much bait around but plugs and lures are working. 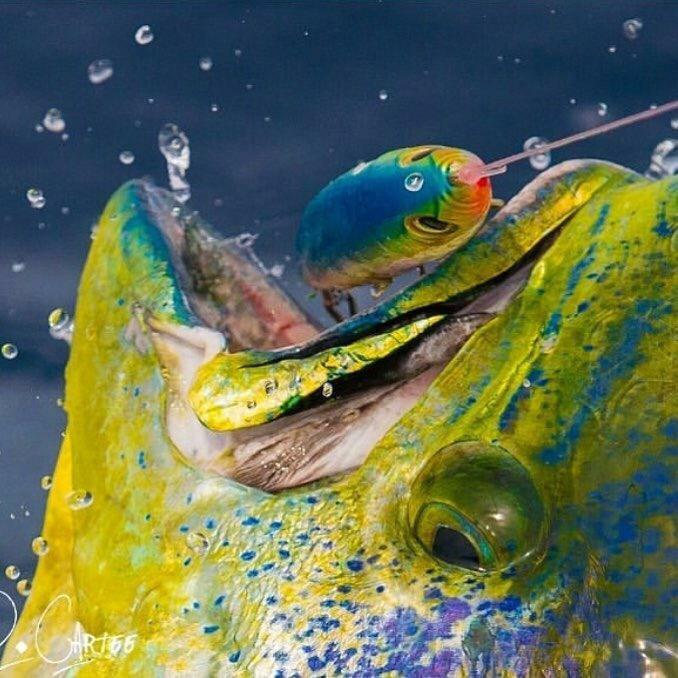 However, when the wind isn’t blowing, there’s some dorado out there. Pargo and cabrilla and snapper are still around the reefs and rocks. 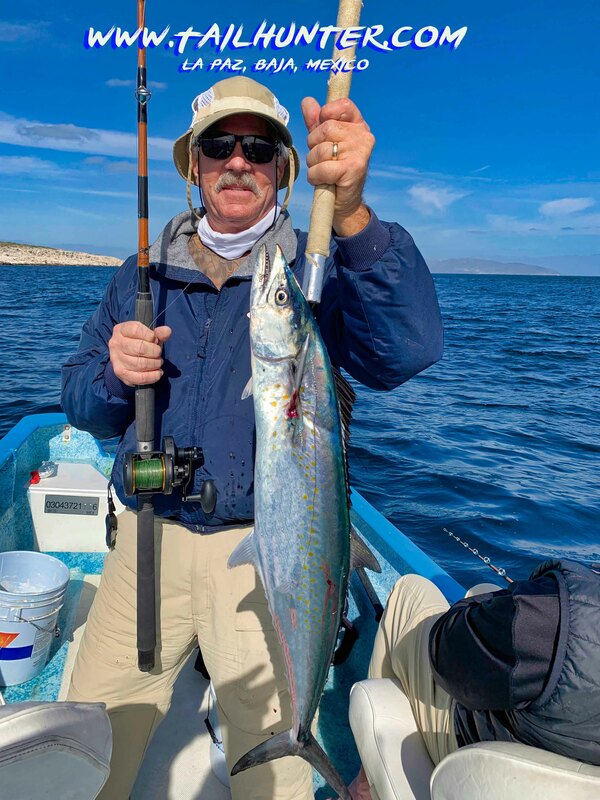 Gary Wagner with a tasty sierra off Punta Perico. Note the jacket! Sierra, bonito and jack crevalle near the drop offs. This coming week, the winds die down about mid-week so hopefully, I”ll have a better report for you! Thanks, Washington! Now on our way to Portland! Well, we just finished our 3rd show of the season. 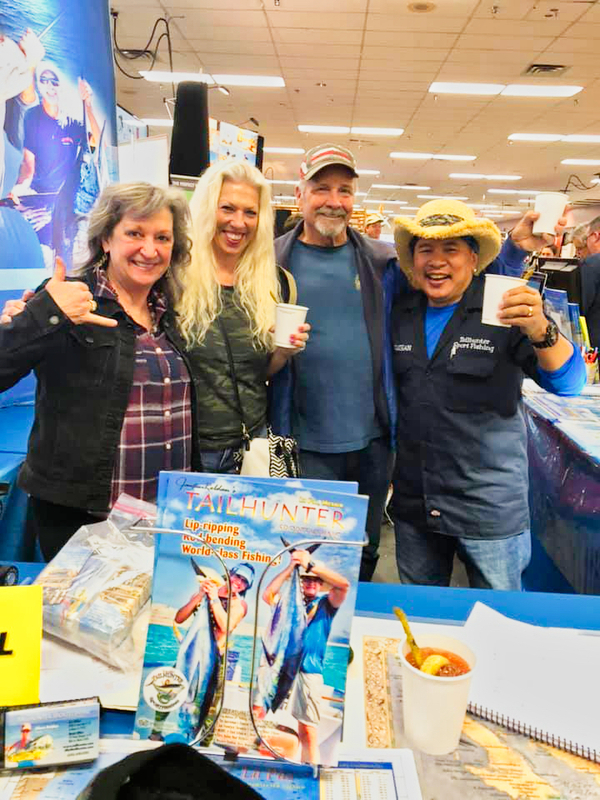 We’re wrapping things up here in the Seattle area and packing to head to our next show at the Portland Expo Center in Portland, Oregon Sept. 6-10. We’ve had some fantastic shows so far! We’ve been in Denver, Sacramento and then this past week in Seattle. Reservations are coming in fast this year! 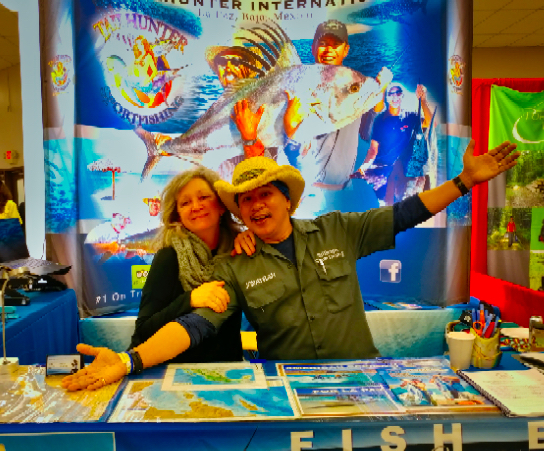 Don’t wait until we visit your area! Dates are filling up so get in touch with us as soon as you can if you’re planning to come fishing!